Periodically you must install a clean filter cartridge in a shop vac. Because you use your shop vac for those jobs that are too dirty or big for a regular vacuum the filters tend to get covered in filth. 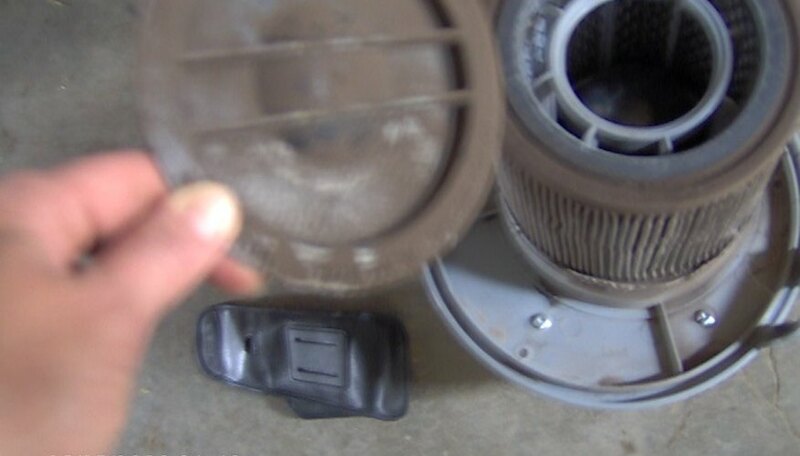 Using a shop vac with a dirty filter cartridge can smell a room up fast and make it difficult to breathe. It isn't a difficult job, but can be a dirty one. Press in the buttons on both sides to release the top. These are located on the handles. If you have a larger shop vac you may need to lift a clip on each side to release the top. Lift the entire top off from the shop vac. The filter cartridge is attached to the top so it will come out with it. Turn the top upside down. You may want to go ahead and empty the shop vac canister at this time, if it has been used. Unscrew the cap located at the base of the filter cartridge and lift it off. Set it aside where you will not misplace it. 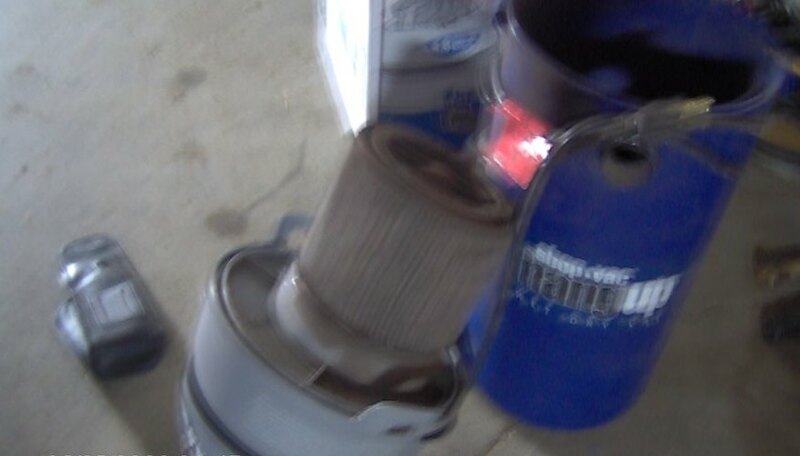 Lift the old filter cartridge off from the filter cartridge frame and throw it away. You may want to have a garbage bag close by for this. Put the clean filter cartridge over the filter cartridge frame and press it all the way down. Pick up the cap that you set aside earlier. Screw it back onto the filter cartridge frame at the base of the clean filter cartridge. Lift the entire unit and turn it right side up. Set it back onto the canister so the new filter is down inside of the canister. Push the handles down so they lock into place over the buttons. If you have a larger shop vac you may need to set the clips and then close them. You are finished installing the filter cartridge and the shop vac is ready to use. Use a paper towel or rag to unscrew the cap to avoid getting your hands dirty. Remove the filter cartridge when using your shop vac to take up water or it will get wet and then a musty odor. 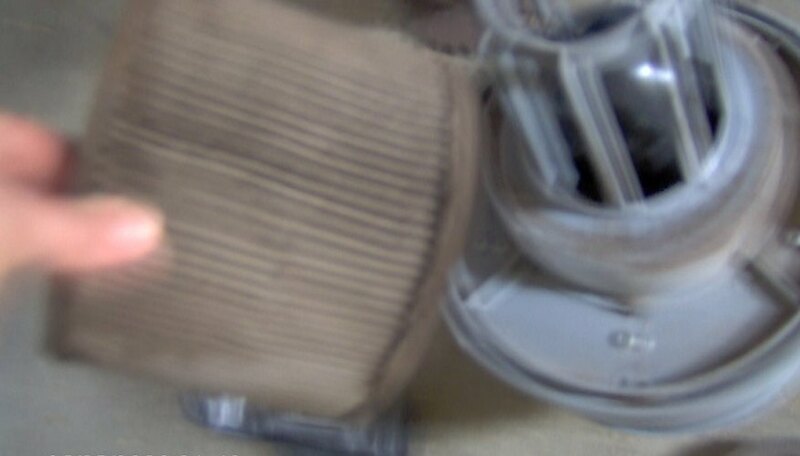 The used filter cartridge is covered in dirt so do not wear your best clothing for this task.